After sweeping across Belize on August 3, 2016, Hurricane Earl is estimated to have caused $183.6 million in damages to both the agriculture and tourism sectors. Since then, several international organizations donated funds towards the relief efforts. Two months later, Belizeans are still recovering from the disaster and the Government of Belize (GOB) claims it is doing its best to make do with the resources available. The accounted monetary donations include: $100,000 from Belize Telemedia Limited (BTL), $200,000 from the Republic of China (Taiwan); $111,810 from the European Commission, $400,000 from the Inter-American Development Bank, $522,146 from the Caribbean Catastrophe Risk Insurance Facility (payout to the Government of Belize under its excess rainfall insurance policy), $100,000 from Norwegian Cruise Line, $630,000 from the United States Government, $570,000 from the US Southern Command and $30,000 from Atlantic Bank. This amounts to a total of $2,666,955 towards Hurricane Earl Relief Efforts. Even though the donated amount leaves a deficit of more than $180 million in damages, these funds are still vital towards the recovery effort. According to Prime Minister Right Honorable Dean Barrow, around 4,684 households were impacted in the Belize, Cayo, Orange Walk and Stann Creek Districts alone. The National Emergency Management Organization (NEMO) reported that the rains from Earl caused widespread flooding, resulting in damage to homes and businesses, losses to the two most important industries of the country, and caused interruptions of water and electricity services. NEMO and the Belize Red Cross (BRC) have been the two most active organizations to respond with disaster relief efforts, but lack of donations and funds are making the task challenging. The San Pedro Sun contacted NEMO headquarters, which stated that the recovery process has not yet finished. 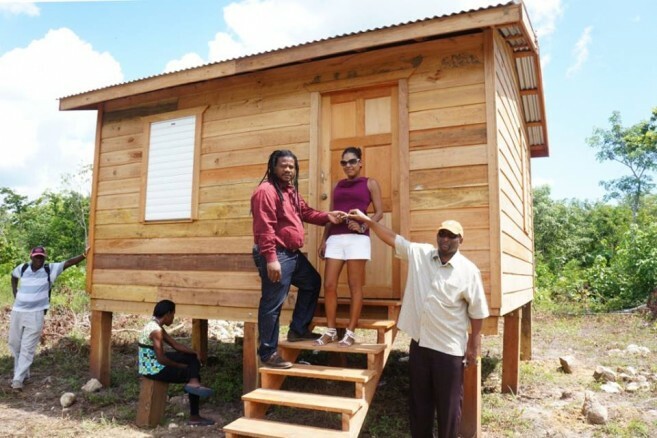 “The Government has assisted us with funds to help restore houses that were damaged. We are currently trying to finish building homes for those who were impacted by Earl. Since some people are still displaced, the Ministry of Human Development is renting homes until the process is completed. Through donations, we have issued food, cleaning supplies, and bedding,” said a NEMO representative. On Tuesday, October 4th, Minister of State for National Emergency Management Honorable Edmund Castro reported on the recovery progress in Rural Belize. “The rebuilding efforts have included construction of homes and assistance with material for needed repairs such as lumber and zinc. 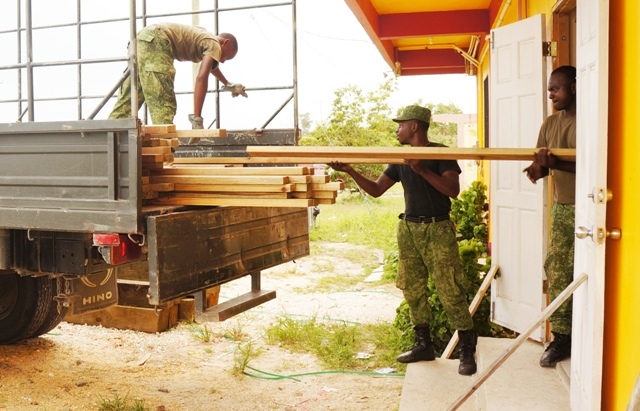 In the Belize District, material has been distributed from the NEMO Office and Warehouse on the Phillip Goldson Highway near the Burrell Boom Junction, with loading, transportation and offloading assistance by the Belize Defence Force,” indicated Castro. 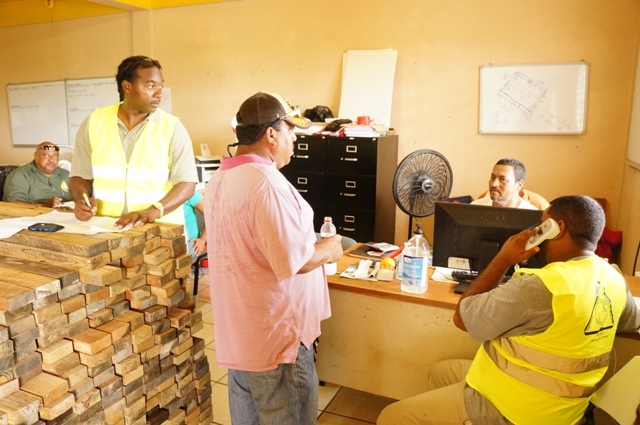 He said he is pleased with the timely assistance provided to residents affected, and he thanked the NEMO coordinators, other government personnel and volunteers, as well as local contractors who have been a part of the recovery and rebuilding effort. He also thanked Barrow and the Ministry of Finance for promptly making these resources available for rebuilding. Castro did not directly indicate the source of the funds used in the rebuilding efforts, but he did accredit GOB for the disbursement of the monies. The houses were official handed over on Wednesday, October 5th. 60 houses out of 180 have been completed so far, and were distributed to the victims of Hurricane Earl in the four districts most affected. 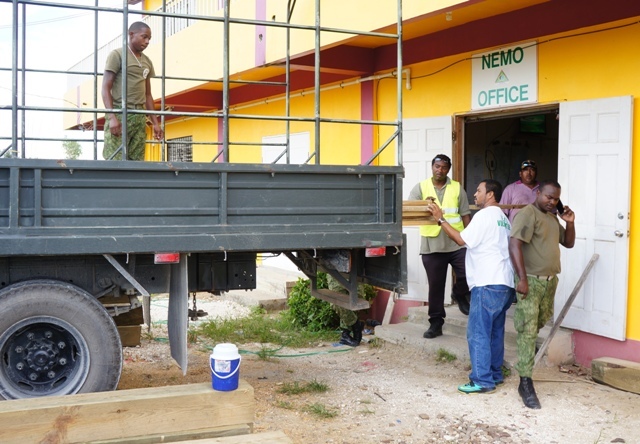 Also, 80 roofs have been repaired by contractors working for NEMO; and a total of over 1,400 victims have been assisted with material to repair their homes. NEMO National Coordinator Colonel Shelton DeFour says the rebuilding efforts should be completed by late November or early December. As for the most dominant industry in Belize, Chief Executive Officer in the Ministry of Agriculture, Jose Alpuche, stated that the agriculture industry had around $100 million in losses. According to Apulche, the GOB is also assisting the agriculture industry, with focus on small farmers. “We are providing some assistance, and we are confident that the agriculture industry will recover. Through funds from the GOB, we are providing farmers with coupons to help them get a jumpstart to recovery,” said Alpuche. On September 20th, the International Regional Organization for Health in Agriculture handed over to the Ministry of Agriculture, Fisheries, Forestry, Environment and Sustainable Development 82 packs of hybrid tomato and sweet pepper seeds, valued at $10,000, to support to the small farmers. As for the tourism industry, Director of Tourism Karen Bevans explained that major destinations sustained heavy damages, and will take time to rebound. The storm damaged several key tourist attractions, and as a result, many establishments closed until rebuilding efforts could be completed. Tourism sector officials are still in the process of quantifying how much money the industry lost as a result of the storm, but are optimistic the industry will stabilize by the opening of high season in November. GOB is considering all options to make up for the financial loss caused by the hurricane, which may include increasing taxes such as the General Sales Tax (GST). For now, recovery efforts are still continuing and all forms of donations and assistance are welcomed. After a hurricane: What happens with the trash?